Bitcoin, where it all started! The domain name “bitcoin.org” was registered on 18 August 2008. In November that year a paper authored by an unknown person or group of people under the name Satoshi Nakamoto was posted to a cryptography mailing list. The paper was titled Bitcoin: A Peer-to-Peer Electronic Cash System and Nakamoto implemented the bitcoin software as open source code and released it in January 2009 on SourceForge. New Bitcoins are generated by the network through the process of “mining”. A process that after executing mathematical calculations mining nodes on the network are awarded bitcoins each time they find the solution to a certain mathematical puzzle. Creating a block is a proof of work with a difficulty that varies with the overall strength of the network. The reward for solving a block is automatically adjusted so that if more miners come online the difficult will increase keeping the number of Bitcoins created constant independently of how many miners the network has. A maximum of 10,499,889.80231183 bitcoins were created in the first 4 (approx.) years from January 2009 to November 2012. Every four years thereafter this amount halves, so it should be 5,250,000 over years 4-8, 2,625,000 over years 8-12, and so on. The number of Bitcoins in existence will never exceed 21 million. Bitcoin uses public-key cryptography, peer-to-peer networking, and proof-of-work to process and verify payments. Bitcoins are sent (or signed over) from one address to another with each user potentially having many, many addresses. Each payment transaction is broadcast to the network and included in the blockchain so that the included bitcoins cannot be spent twice. I’m glad you asked. There are many ways to get your first Bitcoin or fractions of it (Bitcoin can be divided down to 8 decimal places). There is today a whole economy around Bitcoin and some people even manage to live payments for goods and services only with Bitcoin. First step for you would be understand more about wallets. They are a key factor in our experience using Bitcoin. You can find wallets for desktop and mobile devices and also hardware wallets that are highly recommended once they add an extra layer of security. A good place to start your search for the ideal wallet for your needs is the wallet’s session on the Bitcoin.org website. After you get your wallet you will have a public key that works as bank account number that you can share with people and they can use to send Bitcoins to you and a private key. The private key is the most sensitive part of your wallet, in fact, the private key is your wallet itself. Anyone with access to it literally owns the balance linked to it. So your main goal is to protect your private keys at all costs. It’s highly recommended that you store your private keys offline in safe place where only you can access them. Now that you are all set you can start building your stack of Bitcoin through several ways. You can sell your stuff for Bitcoins, or you can work (freelancing for example) and charge in Bitcoin. Several marketplaces accept Bitcoin as payment and you can also create your own. Oh yeah, you can buy Bitcoin on exchanges for Us dollar, Euro, Sterling and probably every other fiat currency out there. 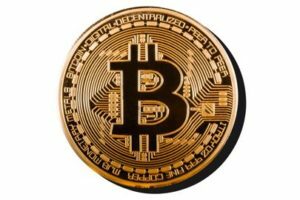 If you got this far you are almost ready to start exploring Bitcoin and its benefits, there are still much too learn though and, in my opinion a good place to start is the Bitcoin original whitepaper itself that you can find here. Previous story What is blockchain?